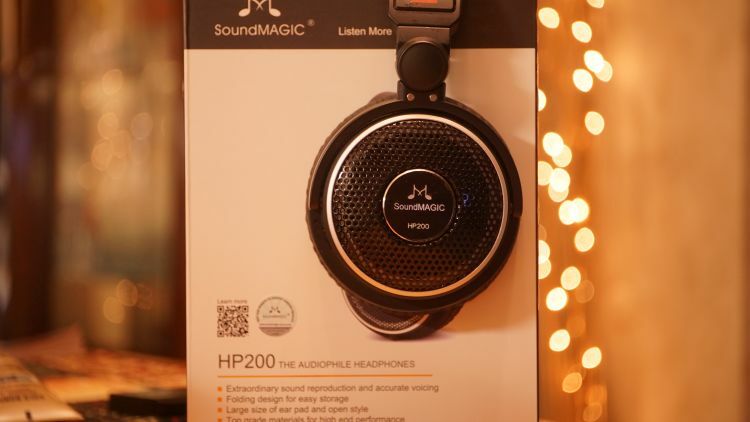 Disclaimer: This SoundMAGIC HP200 sample was sent to us for the purposes of this review and does not have to be returned. Thank you to the team at SoundMAGIC for giving us this opportunity. A few weeks ago, SoundMAGIC sent me a care package that contained a few different models for review. Today, I will be taking a look at their HP200 over-ear open-back headphone. I have a lot to say about this one. I don’t plan to waste anyone’s time here, so let’s get right into the fray as quickly as possible. The headphone is extremely dense feeling and exudes a very good build quality for the price. The exterior metal grills are sheet steel, it seems. That lends a metric ton of weight to the headphone vs the HP150, which uses the same Dynamic driver inside. The HP200 weighs in at a staggering 320g. Beyond that, the Protein Leather pads and headband are plenty comfortable and the interior headband area is moderately pliable. The headphone can collapse and close up a bit into the included portable hard case. The cable is oddly medium length for what is supposed to be a portable headphone. That cable needs to be a little shorter, at least, in my opinion. 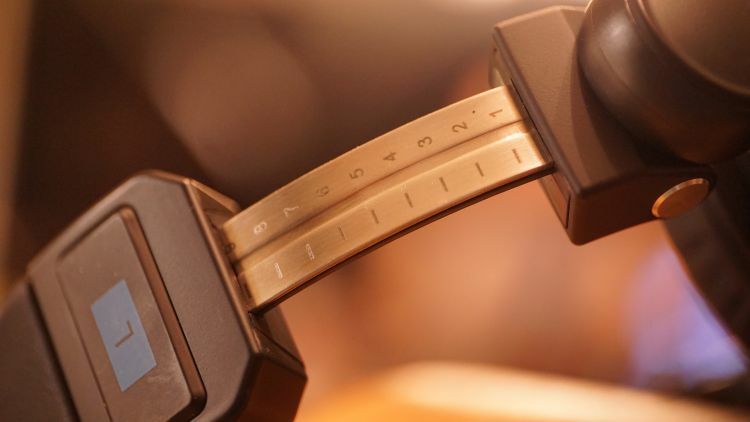 The cable also locks into the headphone’s earcup with a proprietary lock, so you will not be able to use your own cables unless you are crafty and make one properly just for entry into the HP200. It has been a few years since I have heard my actual preferred bass type in an open back. Typically, open backs in this price range offer a much more lively and engaging sense of dynamic impact. In this case, the HP200 is extremely soft and velvety feeling. What that means is that the bass is portrayed in a very soft and slow decay factor. Extremely chill, extremely relaxed. Yet, also plentiful and well formed in a sense of physicality. I am not overly fond of the lack of an interesting texture. But, generally, at this price range, that isn’t a common thing even in exception value products. I don’t hear a fantastic sense of interesting texturing, but, I do hear excellent depth and response to EQ. When boosted, the HP200 performs very well. If you have a great portable music source that houses an excellent sounding EQ function (Hiby App) then I highly recommend this headphone for anyone who wants an open back when a very warm sound on the low end. You will be able to EQ and boost up to a +6dB factor before you really feel a total loss of quality and shake. Anything beyond a +5dB in this area, in regards to how well it responds to bass boosting, is a fantastic thing. Want more than the flat EQ sound? No problem. Feel free to toss a bunch extra and get more firmness and depth to the rumble factor. With regard to overall fidelity, the HP200 is not a great value. But, in this case, I still love it on a subjective level. This is a case of musicality being extremely high in a portable-ish open back headphone. I’ve not heard that bass type since the very old Sennheiser HD485, which if any of you actually remember me from 8 years ago over on Head-Fi, was my favorite budget level open back. This HP200 sounds audibly superior in every way, as well as much more musical and warm. However, for the price, I can name plenty of other headphones that are audibly cleaner and much purer. It is just important to note that this headphone clearly wasn’t intended for a purist or a listener who likes clinical accuracy. Despite that love I have for the musical sound type here, I am not at all fond of the raw quality of the low end of this product. I think they could have certainly done better for the price. But, then again, musicality vs accuracy is an age old debate that will forever loom over us audio enthusiasts. 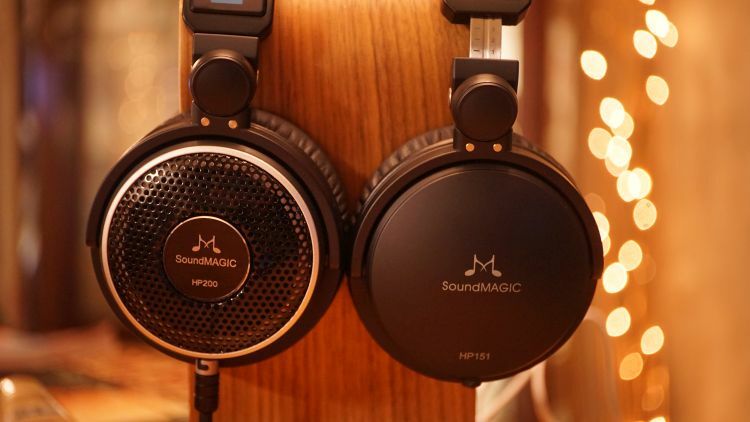 SoundMAGIC opted for musicality, enjoyment, and fun. And I applaud them for it. 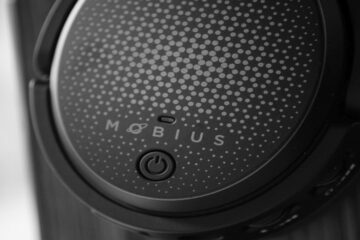 The name of the game with this headphone’s midrange is all about a relaxed presentation. Even though I prefer a more intimate forwardness, I have to admit that the moderately relaxed midrange appeal in the HP200 is very enjoyable. Alongside the bass end, the midrange is also very elegant and soft in dynamic presentation. That means it doesn’t kick and slam hard. This is a soft approach, slow, and very relaxing. If you enjoy older Big Band and Jazz standards, this is a great option for you in this price tier. And while that is great to have in a very musical and fun sounding headphone, there is a bit of a problem with the upper midrange. Shouting and high pitched voices in music tracks, especially in movies, can be overly nasal and a stark contrast to how things feel in the lower mids. This is a rare problem, but the explanation will come in a bit in the treble section. For now, the upper mids are not what I would consider reflective of the softer tonality of the bass and general midrange areas. Thankfully, EQ to the rescue. The HP200 responds nicely to variants in my EQ setup and will provide a better experience, at least to my own ear, than a flat EQ will. Vocals can be warmed up and made less engaging, or even more engaging. Overall fidelity for a lower end of the middle tier pricing such as this is just good. I am not wild about the lack of intimacy and the wider field view the HP200 has opted for. 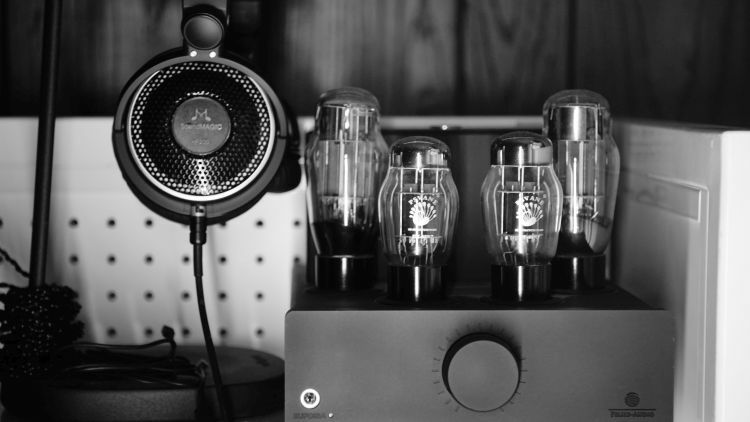 Combining that aspect with the just good sound quality in a literal sense of the word makes the experience forgettable at best when referencing other fantastic sounding midrange products out there. That does not mean it sounds bad. It doesn’t. It just means for the price you can get better elsewhere. But, odds are exceptionally high that whatever other sets you opt for will be a purist headphone and not a musical sounding one. Simply put, I am really not fond of the entire top end. It has something to do with tonality and not quantity factor. Dynamism and slam factor is noticeably stronger than the bass and midrange at all times. Yet, once again, the HP200 can be EQ’ed nicely to avoid painful quantity, or lacking quantity up top. That is such a great thing to have in a portable. Yet, also one that is open back as well. What is happening here is a tonally skewed top end that is not congruent with the bass and mids below it. The measurements aren’t very good up yonder. The treble is, on a flat EQ, overly engaging and bright in comparison to the warmer tonalities below it in the spectrum. It sounds a bit lopsided in that regard and even with a lowered treble via EQ, the experience tonally doesn’t shift. It still sounds a bit too overpowering when referencing bass and midrange. It is just that the bass and mids are very elegant and soft sounding, but the top end is firmer and more dynamically interesting. As for quality, sadly again, I can’t recommend it to treble-heads who love that type of a purist sound up top. I can recommend it to EQ-friendly listeners who have a powerful EQ to get something more out of it on a subjective level. The HP200 sounds wide and well-formed. For an open back, the experience is just okay to me. I don’t hear or pick up on a sense of fantastic imaging prowess. But, what is there is, is coherent and well-formed. Height, width, and depth are all roughly equals and nothing feels physically out of place or lacking. 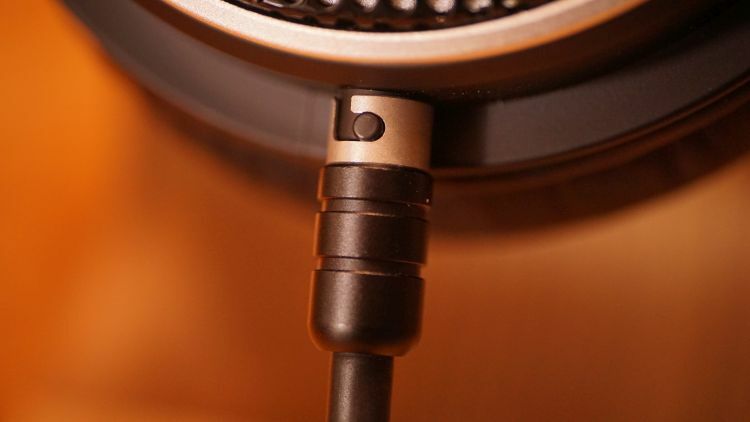 The moderately placed midrange makes the headphone feel wider than tall, which lends help to live recordings and very well recorded binaural tracks. Otherwise, I tend to lose intimacy too much due to the widescreen effect. But, a lot of people like that type of sound field. It just isn’t a generally well-rounded sound type in the imaging department that would sound great with most recordings. What I do enjoy is the inky, jet black background that has excellent blackout curtain effect. The treble really contrasts that significantly and in a great way, as most of the upper mids and treble experience really pops vividly and feels extremely shapely. I think most single player gamers should be paying attention at the moment. I played through The Witcher 3, which is a game that is regarded as the game of the current generation. Where Super Mario held the 80’s. Sonic the Hedgehog, in the early 90’s. Games like Tomb Raider, Crash Bandicoot and similar, the late 90s. Kingdom Hearts and Final Fantasy X, the 2000’s. In my opinion, and many others it seems, The Witcher 3 is the current “in a league of its very own” game. This is important because the game is extremely story driven with dialogue and the physical imaging prospects of the product are exceptionally tailored for RPG’s such as this. Where the camera is set back a bit, most of the time, from major characters who converse with one another. I’ve found that for anything outside of First Person Shooters, the HP200 is my new go-to headphone. It is soft and fun on the low end. Comfortable and well driven by just the USB DAC and nothing more. It is plenty efficient in that regard. If you can snag this headphone used, it might be a very nice casual/gaming headphone for you. I found this headphone extremely useful for general all-purpose usage. That includes gaming. I don’t want to use an amplifier when I am sitting at my desktop just browsing Youtube, or casually gaming. So, I am opting to use the HP200 as my primary PC usage set. The reason being how yummy the tonality sounds for the most part. Most Youtube and PC games don’t have hot treble, so I feel comfortable using it all day. It has been a while since I enjoyed Youtube sound…I know, right?! 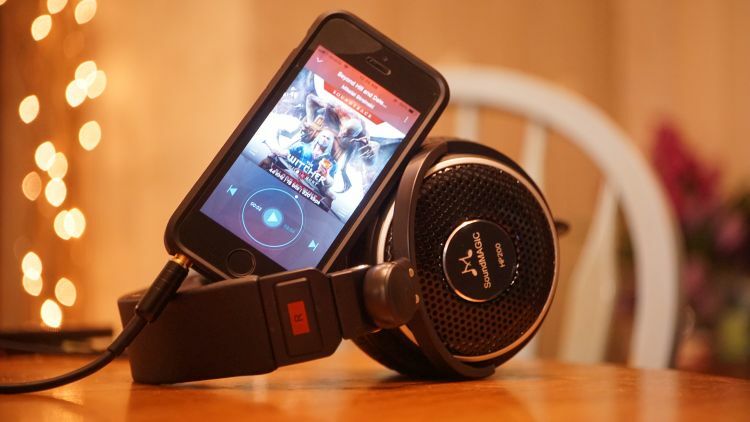 The reason for that is the very nice and vividly thick bass and lower midrange, which meshes extremely well with podcasts and audiobooks, as well as typical Youtube content. Most games without loud explosions will sound meaty and weighted. I enjoy that type of a sound for casual usage, I like thick sound, something more aimed for slow decay factor and that, if I am using an amplifier, can be boosted potentially with some extra bass. The HP200 is tone-friendly to casual usages. It is exceptionally good at PC gaming needs that do not require positional accuracy and locating sounds in the gaming zone around you. The soft bass and warm tonality are enjoyable and dense feeling, which makes deep bass tracks and low-fi genres sound very yummy. 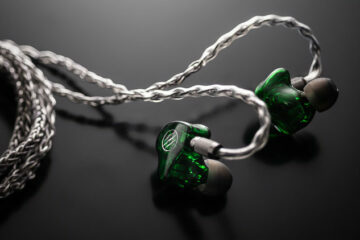 The headphone is also very comfortable and efficient, so you don’t really need an amp to get the best out of it. Just a good source or moderately powerful portable player is all you need. I just wish they’d have toned down the treble just a bit and cleaned up the bass fidelity. If they had, they could have scored a serious win in the audiophile community and even the gaming community if it were properly marketed. Drop the proprietary cable, clean the bass and upper mids up significantly, but retain the thick and weighted feel, drop the treble quantity more than a few dB and you’d have a really great midtier headphone. For now, the HP200 is just okay for musical enjoyment. But, I do find it very fun to use with casual PC usage. Self Proclaimed Musicality Guru, Photographer, Audiophile and part time Ninja. I started my audio journey back in 96' and haven't looked back. My ultimate goal in this life is to experience as many Hifi rigs as possible...because I am an audio addict.